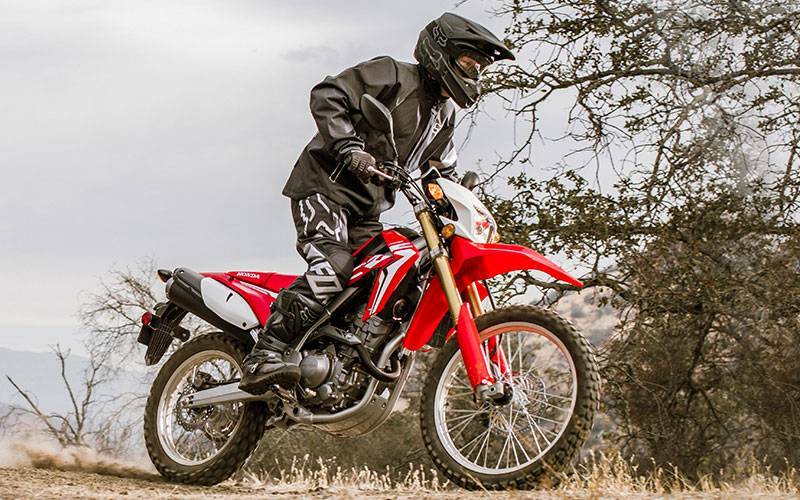 For 2017 the CRF250LA has been revised with styling cues taken directly from Honda's CRF250R and CRF450R MX machines, the new CRF250L is ready for anything a rider can throw at it: it's tough, practical and equally at home around a city block or out on the trail. 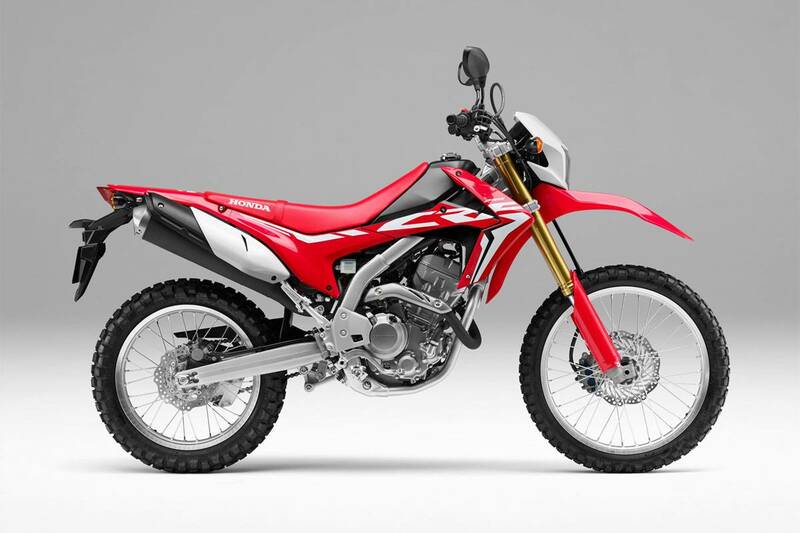 The CRF250LAs frame is constructed from steel, with twin oval-section main spars and a semi-double cradle. 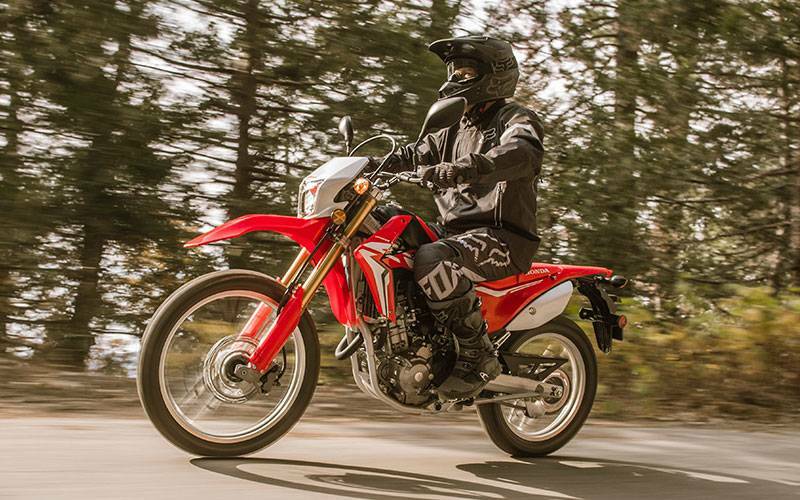 A wheelbase of 1,445mm is matched to a 27.6°’ rake with 113mm trail and ground clearance of 255mm. Seat height is 875mm with wet weight of 146kg. Single 256mm disc with twin piston caliper; ABS.